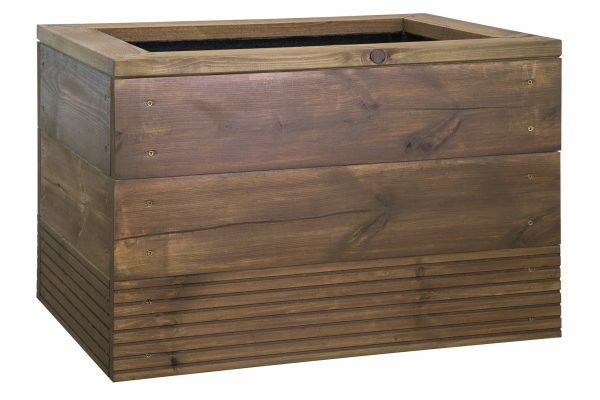 The Waterloo Planter is a sturdy hardwearing planter made from decking. The top tiers of the planter show the smooth side whereas the base of the planter shows the ridges. Each planter is carefully mitred at the corners. The Waterloo Planter is a traditional style planter made from pressure treated timber and stained to a colour of your choice. There are many stain colours to choose from. The Waterloo Planter is perfect for a rustic or traditional environment. A large variety of stain colours available or these planters can also be painted in a RAL colour.